Do your pals always text you for glam sessions? Sounds like you’re a makeup artist in the making. Turn your obsession into a career! 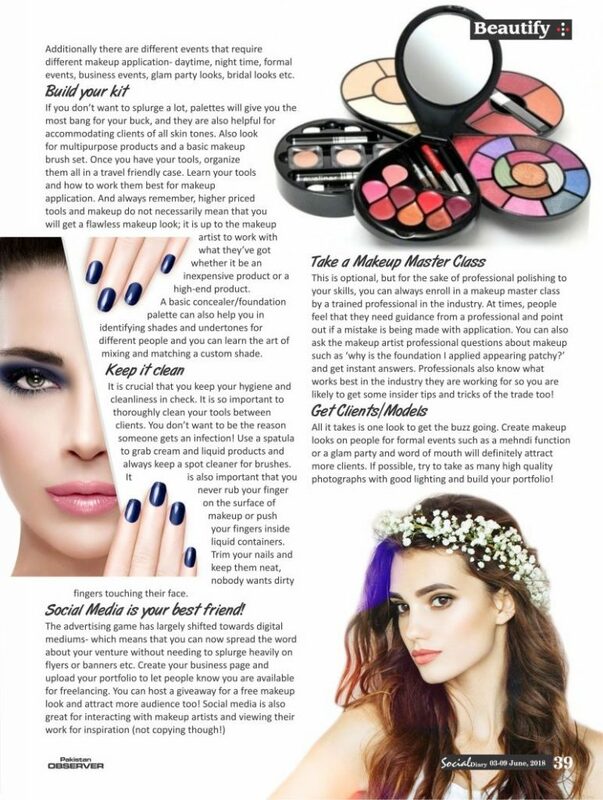 Social Diary Magazine shares with you how to begin a career in Makeup Artistry! You don’t need to be formally trained. A great way to start is entirely through watching makeup tutorials on YouTube. That is exactly how a lot of makeup artists initially start out. See as many beauty techniques as you can- preferably from reputed makeup artists and not YouTube Beauty Gurus. Then try out the different looks on yourself. As always, practice will make perfect and you will be able to study the texture of your skin and your features and what type of makeup looks suit you best. You can also practice on your family and friends, giving you a better idea about different facial features and defining it with makeup. Makeup has different spheres- one size definitely does not fit all. Every face is unique and there is a makeup look for everyone that is especially for an individual’s features. Additionally there are different events that require different makeup application- daytime, night time, formal events, business events, glam party looks, bridal looks etc. If you don’t want to splurge a lot, palettes will give you the most bang for your buck, and they are also helpful for accommodating clients of all skin tones. Also look for multipurpose products and a basic makeup brush set. Once you have your tools, organize them all in a travel friendly case. 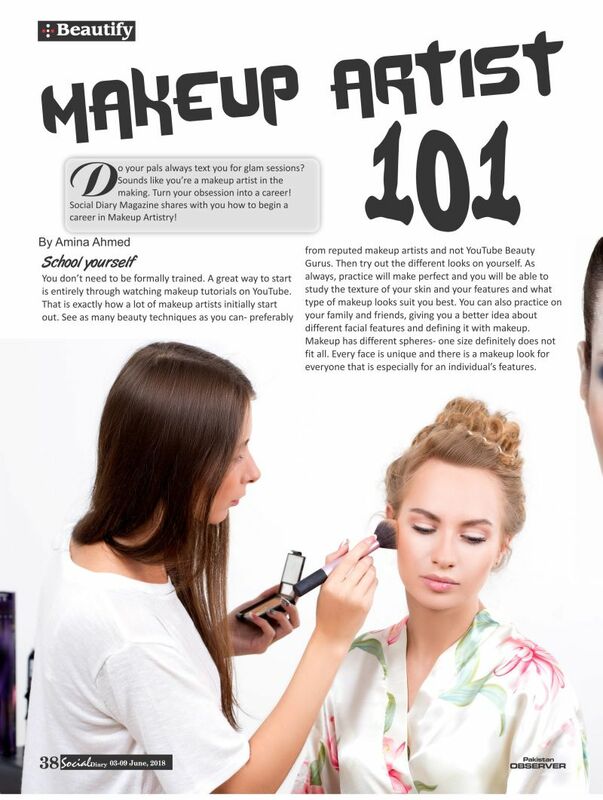 Learn your tools and how to work them best for makeup application. And always remember, higher priced tools and makeup do not necessarily mean that you will get a flawless makeup look; it is up to the makeup artist to work with what they’ve got whether it be an inexpensive product or a high-end product. A basic concealer/foundation palette can also help you in identifying shades and undertones for different people and you can learn the art of mixing and matching a custom shade. It is crucial that you keep your hygiene and cleanliness in check. It is so important to thoroughly clean your tools between clients. You don’t want to be the reason someone gets an infection! Use a spatula to grab cream and liquid products and always keep a spot cleaner for brushes. It is also important that you never rub your finger on the surface of makeup or push your fingers inside liquid containers. Trim your nails and keep them neat, nobody wants dirty fingers touching their face. All it takes is one look to get the buzz going. Create makeup looks on people for formal events such as a mehndi function or a glam party and word of mouth will definitely attract more clients. If possible, try to take as many high quality photographs with good lighting and build your portfolio! This is optional, but for the sake of professional polishing to your skills, you can always enroll in a makeup master class by a trained professional in the industry. At times, people feel that they need guidance from a professional and point out if a mistake is being made with application. You can also ask the makeup artist professional questions about makeup such as ‘why is the foundation I applied appearing patchy?’ and get instant answers. Professionals also know what works best in the industry they are working for so you are likely to get some insider tips and tricks of the trade too!